The Exports and Tourism Promotion Board (PromPeru) presented the «Pisco, Spirit of Peru» campaign at Madrid Fusion 2019 —one of the most important gastronomic events in Europe— in order to boost awareness and consumption of this flagship drink on international spirit markets. Not only is pisco the Inca country’s national drink, it is also one of the main reference points for its gastronomy. Its versatility provides tradition and modernity, traits that combine perfectly to give life to its new graphic identity. It is inspired in five attributes: biodiversity, quality, history, culture, and versatility. The slogan «Pisco, Spirit of Peru» will transmit the South American country’s emotions towards its drink. The initiative connects pisco with its place of origin —Peru— and generates recognition of its traits as a distilled liquor from the perspective of target markets, composed of Germany, the Netherlands, Spain, the United Kingdom, and the United States. 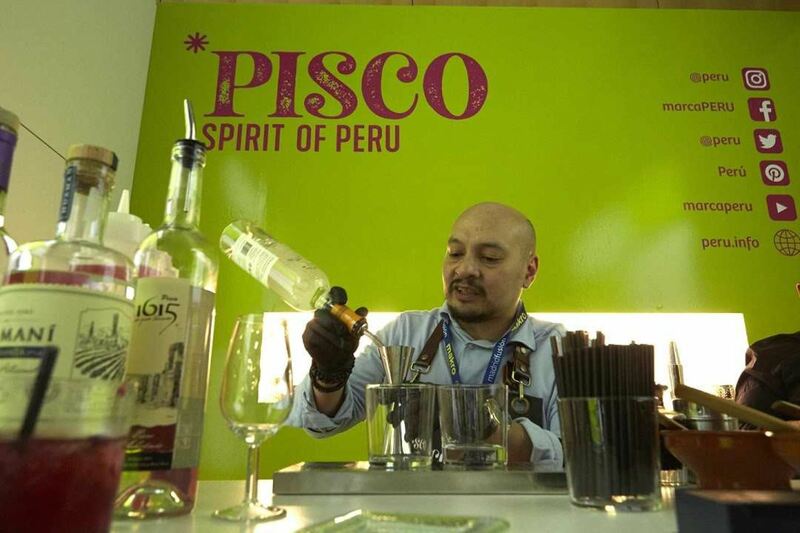 «Pisco, Spirit of Peru» was presented in The Drinks Show —an event specialized in cocktails— held within the framework of Madrid Fusion. Entrepreneurs —linked to the restaurant business—, chefs, gastronomic influencers, and journalists from all over the world participated in this activity. Promperu developed the «Pisco, Spirit of Peru» campaign through the Country Image and Communications Directorate. This institution also managed to create the sectoral brands Superfoods Peru, Coffees from Peru, Peru’s Alpaca, and Peru Textiles. Pisco’s market has grown continuously since 2012, with an annual rhythm of over 10%. According to the Production Ministry (Produce), consumption reached 955,000 liters in 2008, while it amounted to 1.9 billion liters in 2017. One of them is Puro, which is special due to its fine distillation and single-grape origin. Another one is Mosto Verde —made from the distillation of fresh musts that are not fully fermented. Also, among the options, there is Acholado —obtained from the blend of different grape or pisco varieties. Finally, there is Aromatico. This kind of pisco smells like flowers and fruits, featuring an aromatic flavor.